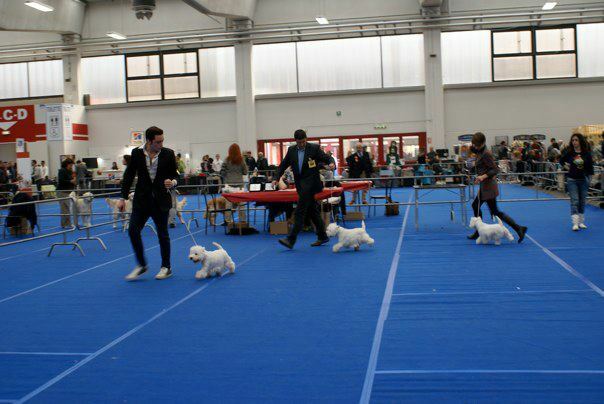 Humbie is one of my biggest goal, she arrived here when i was still beginner. 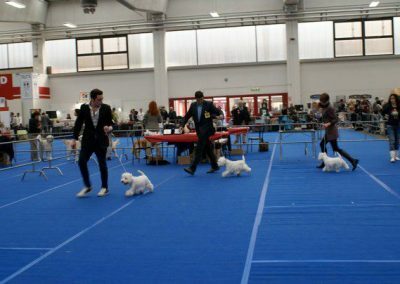 My experiencless did not prevent her epic win, Humbie gained her Italian champion in just 50 days. Humbie is also Checz R. , Croain and Polish champion. 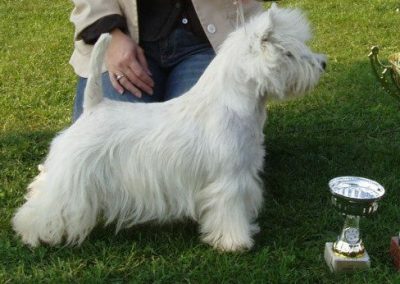 Humbie knows to be a real Lady, she is a teacher for all Zackshine’s puppies, a tireless aunt who never forgets to show them the way to be a real Terrier. 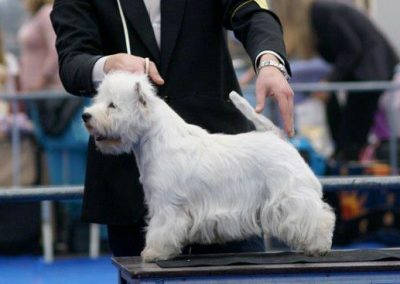 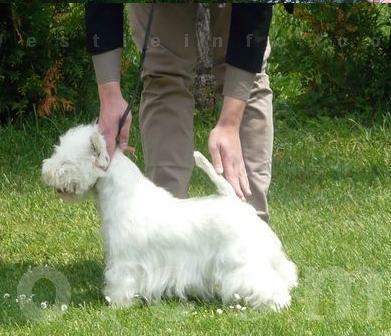 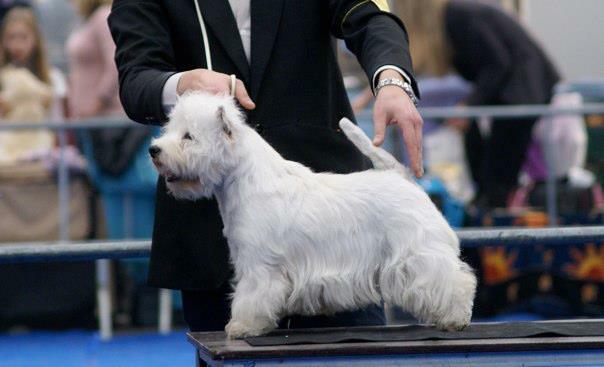 Humbie is bred in CZ by Ilona Cerna.